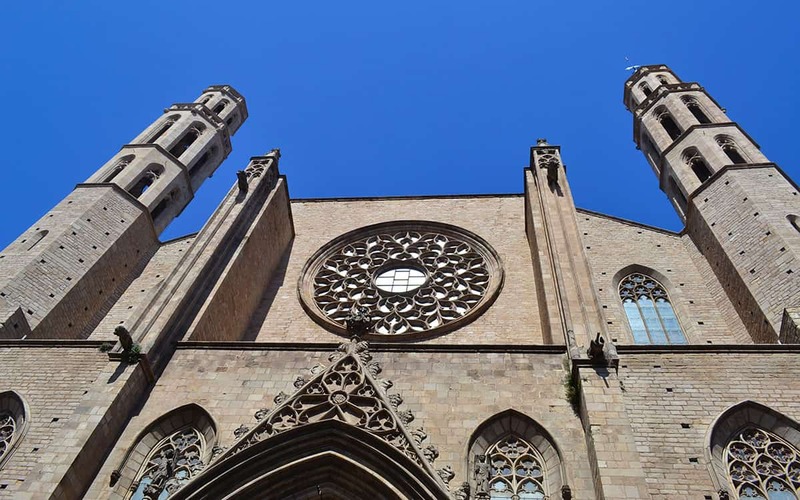 Towering over the picturesque Placa del Pi square, the Santa Maria del Pi basilica is an imposing medieval church in Barcelona’s Gothic quarter, with an impressive 54-metre-high octagonal bell tower. It dates back to the 14th century, though it was gutted by a fire in the 1930s. Today, much of what you can see inside has been faithfully restored such as the splendid rose window at the front. You can visit just the church for a small fee (price €4), or you can spend a little extra to get a guided tour of the premises with access to the bell tower (€8.5). From the tower you can enjoy sweeping views over the Old Town. There’s also a cool display of gegantes or ‘giants’, colourful colossi that are a popular feature of parades during one of Barcelona’s many festivals. Sometimes visitors find themselves at the basilica at night to see a flamenco music performance or live guitar concerts, which are held multiple times a week in the church. Even if you don’t go inside the church, the tree-lined square is filled with charming cafés and restaurants – making it the ideal spot for a break during a busy day of touring the city. At the weekend, painters exhibit their work here. 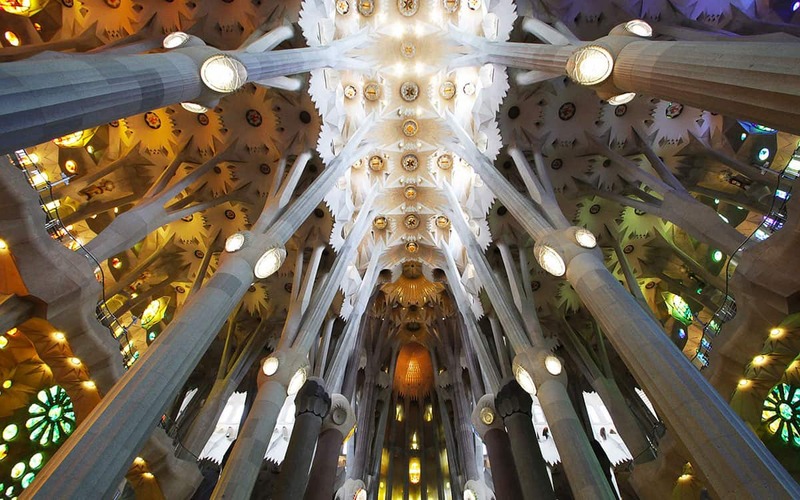 You can buy entry tickets to Santa Maria del Pi via the official Barcelona Tourism website. 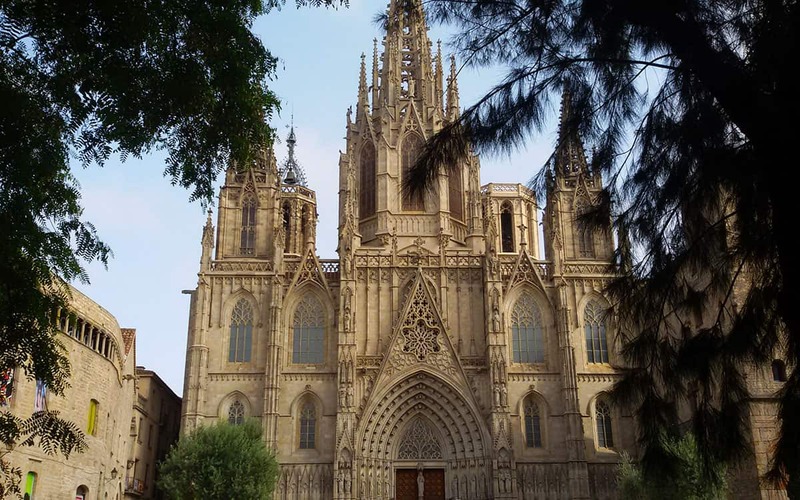 You can select basic entry only, or choose a guided tour with bell tower visit. Tours take place every day at 12pm, 1pm, 3pm and 4pm.